The first chief revenue officer of Mail Brands has consolidated the print and digital sales teams but also ruffled some feathers in the industry. Mel Scott lived through the end of apartheid in South Africa, so she is used to upheaval. "I am a big believer in change. I thrive on it," she says in her first interview since being promoted to chief revenue officer of Mail Brands in July. 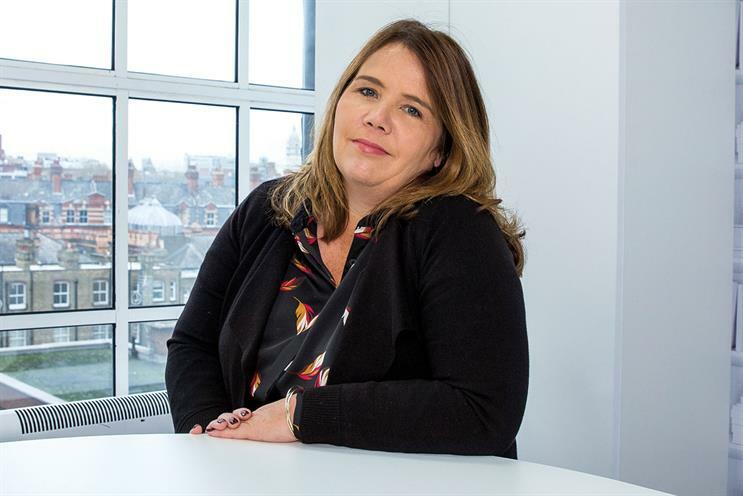 Her brief was to combine print and digital into a £250 million-a-year unified sales team for the Daily Mail, the UK’s second-biggest-selling print daily, and MailOnline, the world’s biggest English-language online newspaper. Advertisers and agencies broadly welcomed the move. Scott already has a record of innovation after six years at MailOnline, where she and the publisher, Martin Clarke, boosted ad sales by 500 per cent. She was also a prime mover behind the launch of a partnerships team in March. The division promotes closer collaboration with editorial on native content and cross-platform deals that make use of all of the Mail’s assets, from print and weekend supplements to online and the app. However, the ad industry has been taken aback by the sweeping changes that Scott has introduced since. First, she decided to move to "fixed-price" deals at the start of November that guaranteed a minimum amount of revenue to reflect the Mail’s increased share of the newspaper market (about 23 per cent). "We wanted to go from being traders of media to actually sellers of media," Scott says, adding that no other UK news brand can match its 33 million reach across print and online, according to National Readership Survey data. Second, Scott axed about 30 roles out of roughly 230, getting rid of the client-facing sales staff who looked after individual advertisers. "Our view is there should be no single person [looking after an advertiser]," she explains. "There should be a matrix of people at our organisation working with a matrix of clients at their organisation." The result has been, in Scott’s own words, "a lot of combative conversations". Some agencies rebelled against the new trading deals, leaving the Daily Mail’s pages looking a little light on the ads front. Even now, only "five of the seven major agencies" have agreed to be "deal partners". "Non-deal partners" pay higher rates. Some clients were less than happy to lose an individual contact. It has been suggested that the move led to Renault putting its spend on hold – a rumour that Scott calls "wholly factually incorrect". "Not having the previous client team does not take our focus away from servicing clients," she adds, high-lighting how senior staff, including the chairman, Lord Rothermere, have met clients in recent weeks. "We are changing a legacy of pricing – not just ours but in general print terms – of 20, 30 years. Myself and Clare Rush, my deputy, are making a pretty bold statement. I’ll happily take the criticism and the feedback because they just make us better." But the timing has been tricky. A year ago, MailOnline’s ad growth was offsetting print decline. But in the first 11 months of this financial year, print plunged 11 per cent while digital growth slowed to only 16 per cent. Scott is unworried by The Sun, the UK’s leading print title, dropping its online paywall and questions whether it has "the tools" or "the technical people" to be a serious rival. MailOnline’s competition is "everyone" from BuzzFeed to ITV, she adds. Her appetite for challenging the status quo shouldn’t be underestimated. Scott persuaded her company to rent a showy yacht at the Cannes Lions for the past two years, with Kim Kardashian and Rothermere in tow. There are other signs that the Mail is becoming more flexible. Several ad spreads have run in print on pages two and three in recent weeks – something that wouldn’t have happened a few years ago. But the boom area is "cross-platform" partnerships. Scott cites a deal with Seat that included print coverwraps of The Mail on Sunday’s supplement You and its sister paper Metro, a six-part video series and a competition. Another partnership with Iceland includes "native" ads in print and online, plus a "takeover" of MailOnline’s masthead to incorporate the Iceland logo. "Geordie [Greig, the Mail on Sunday editor] and Paul [Dacre, the Daily Mail editor-in-chief] are massively supportive," Scott says. She maintains that sponsored "native" content is different from advertorial because it is written in the "voice" of the Mail by its journalists, led by the commercial editor, Anne Shooter. Scott returned to the UK, where she was born, in 2002 and has had stints at Hearst Magazines and Time Inc. She had previously launched Elle in South Africa. Now she is a rare female at the top of a newspaper ad operation. There are "lots of strong women" running media agencies, but the industry "needs a few more". However, she hasn’t joined Wacl: "The more women hold up the flag for it, the more you’re kind of making a point when, actually, it should just be a matter of fact [that woman are treated equally]." She has other battles to fight.